Can you spend 30 minutes with someone and know that you’ll love them forever? If you don’t see that person again for 38 years, is that love still there? Would you know in an instant that you would walk through fire for another human being? What do you do when someone you love is gone in an instant? How do you go on? 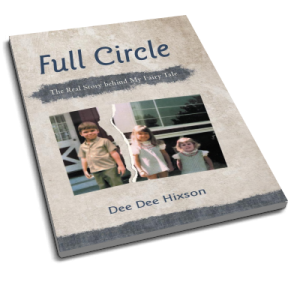 You’ll discover these answers and so much more reading this captivating memoir, Full Circle. This groundbreaking masterpiece will take you on an incredible journey of tragedy and triumph.